A line of cormorants search for supper. A dead tree resembles a big cobra. 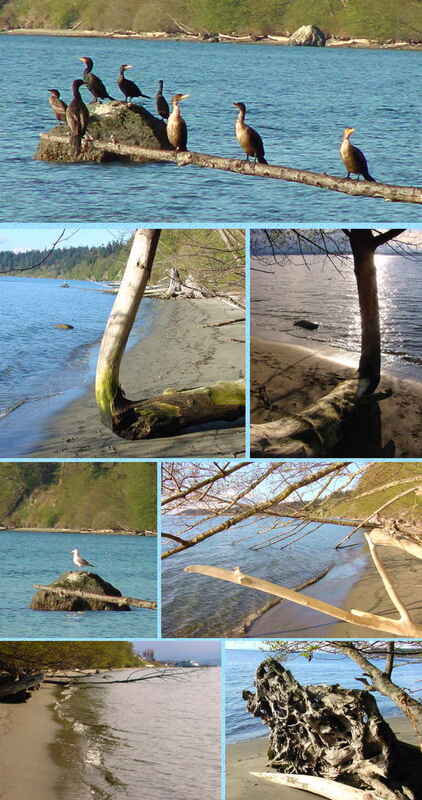 A variety of driftwood along the beach. Digital Photographs by Norm Boynton, Copyright 2001, all rights reserved.